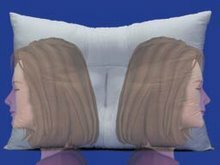 We have discussed in this blog the great importance of sleep and how we are affected when we do not get enough. These consequences of lack of sleep include less energy for physical activity and dealing with stress, difficulty concentrating, increased mistakes, more prone to accidents, and an immune system that is weakened and not at its best to fight illness. Develop a sleep ritual. Do the same things each night before you go to bed to signal to your body that it is time for sleep. If you drink coffee, avoid drinking the caffeinated beverage in the evening. If you drink, reduce alcohol intake. Drinking alcohol shortly before bedtime interrupts and fragments sleep. Orthopaedically correct sleep is when you sleep in a position that does not cause stress to the spine, the muscular system, or nerves. The position that works well for most healthy people is the fetal position. A person lies on either side, with the legs flexed toward the abdomen and the back is also slightly flexed. This takes stress off the spine and allows the organs to spread themselves out, so there is less intra-abdominal pressure against the diaphragm. 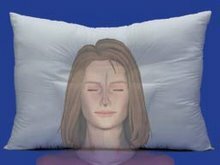 A neck pillow under the head or neck will deflect a lot of weight from the shoulder you are lying on. 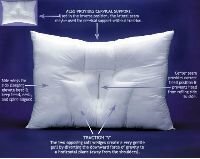 Try our Cervical traction neck pillow- it will give you good neck support while you sleep and also lightly traction your neck at the same time.